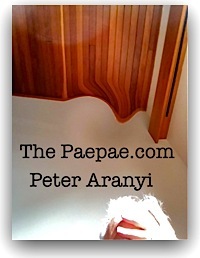 What do we take from ‘rebel’ MP Hone Harawira winning his by-election? … Even with a ‘slashed’ majority — from 6,000 to 867. Wait and see. Let the punditry begin. 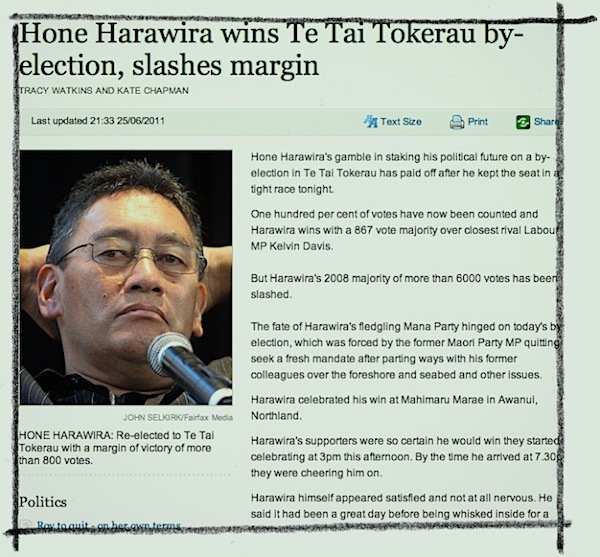 …For his part, Harawira must have some very mixed feelings about the result of a byelection he never needed to call. That party’s post-mortem of its dreadful campaign will have to address the obvious. Was its appalling showing the consequence of working with a National government? It is too late to do much about that before November’s general election. However, the party will have to think very hard as to whether it will again help prop up a National-led Administration after November.